In the late 19th century boxer was developed in Germany. It is a part of the Molosser dog group. 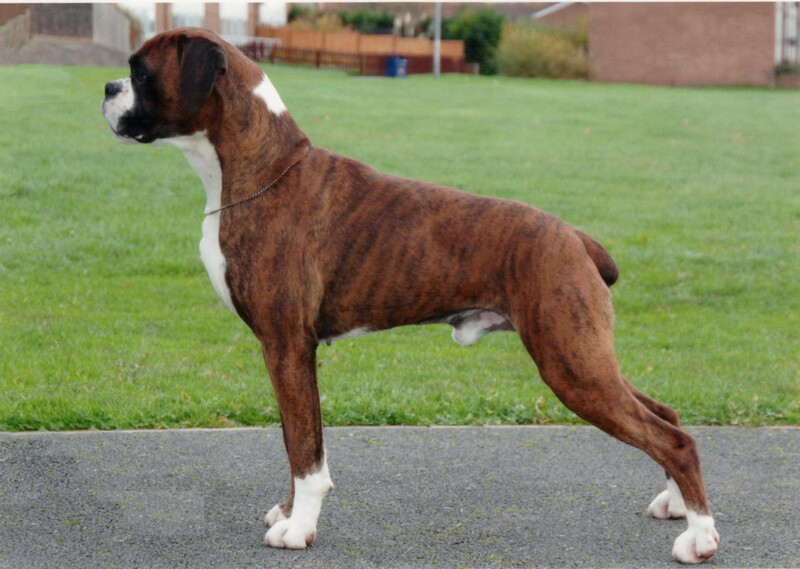 The breed Brabanter Bullenbeisser is said to be the ancestor of the Boxer. He got the name Boxer as he stands with his back legs and does like a boxer do. In 1895 the breed came to a dog show by three germans named Friedrich Robert, Elard Konig and Hopner. In 1896 they founded the first boxer club as Deutscher Boxer Club. In 1902 the first Boxer breed standard was published by the club. The breed was introduced to United States in 20th century. The boxer involved in military work and also worked as a messenger dog. After 2nd world war they became popular as the soldiers brought them and introduced. Boxer is a breed which is medium in size and has short hair. They have very strong jaws as to hunt large prey even hanging on biting them. It belongs to the working group. Boxers are well known for their love and faithfullness. Also he is very intelligent and its cleanliness makes him to be good dog for home. They are very energetic and are playful in nature. When boxers where trained by giving reward to them it is sure that they will perform its best. Normally they like to have good companionship with humans and smaller dogs. They are incredible in their alertness and well suitable for watchdog. 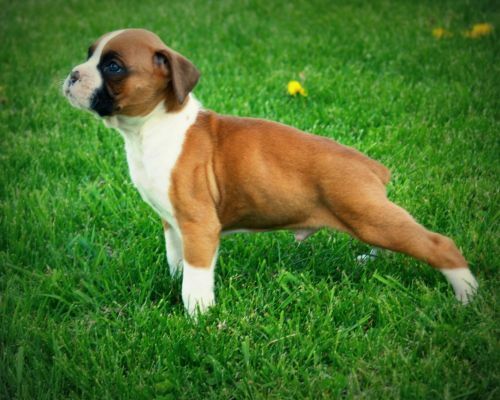 Boxers will be playful and silly till 3 years as they will mature after that only. They require only a minimum amount of grooming. They are suitable for apartment living until they are with their owners. Boxer owners will be sure to enjoy its clownish behaviour. They will be excited many time and show that by spinning in circles and making a sound which the owner will understand that he is happy or he needs some thing which is in the hands of his owner. The major health problems Boxers get includes Cancer, heart problems such as Aortic stenosis, Gastric dilatation and intestinal problems. Infection is the major problem in puppies. 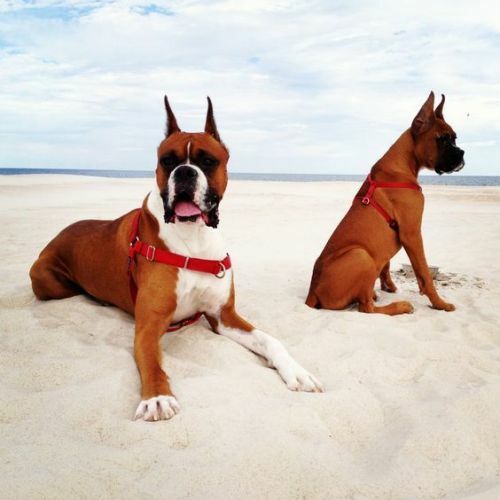 Boxers are also in a risk of getting degenerative myelopathy which is a neurologic problem. Allergies and skin problems are also a problem in them. It is difficult to recognize a growing puppy to be free from all diseases and the only thing we can do is to buy the puppy from a reputable breeder. Boxers may lose their hair due to some diseases and conditions. When some materials such as nickel, rubber and wool are accidentally touched by them it may cause allergies and hairfall follows it. Some auto immune disorders leads to hairfall. Due to some inhalation of pollen or house dust the problem may happen. Some bacterial infection and hormonal problems may also leads to hairfall. Normally puppies require more food than adults to meet their energy requirement for growth. They should be fed in a correct time interval. The puppy food for large dogs must be chosen for their health. 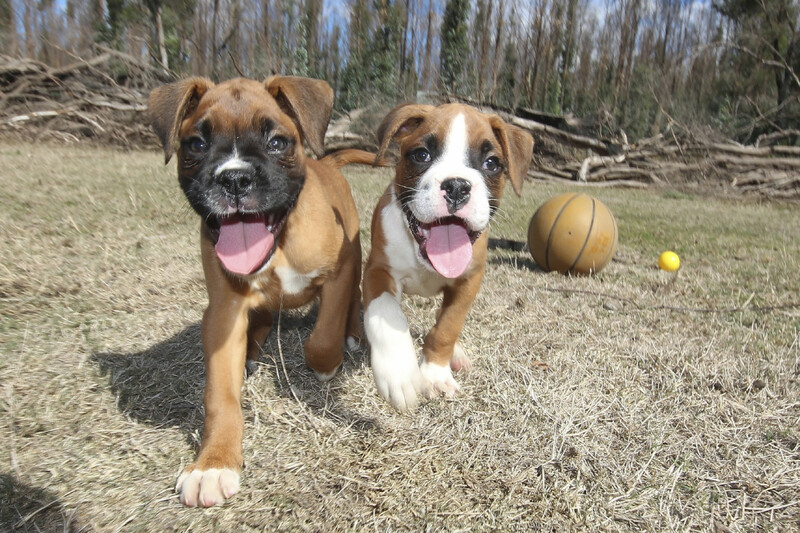 Boxer puppies must be fed twice in a day and two cups of food will be better for them for one time. Upto 6 months this method is recommended. Feeding them by dividing the meals into smaller portion will be good since they will eat too much and very fast. Weight of the puppy should be checked regularly and food should be given according to that. The food given to the boxer will effect in the dog's health and its life span too. Also it should match our budget also. Overfeeding will make them overweight and thus bringing harm to them. It is recommended to feed boxer two times a day to avoid bloat. Food should be given such that the dog completely eats it and if they can't eat completely then the balance food must be thrown away to avoid over eating. They should not be given food while we eat even once as it will develop begging behaviour in them. Boxers are not suitable for living in outdoors, since they have short coats and short noses. But they like to play in a fenced yard. It is recommended to make them walk for half an hour twice a day. Playing flyball with them will make them happy and making him exercised will give him a good behaviour. They are good kid friendly dogs. He is famous for his alertness and thus a wonderful watchdog. He loves to play with children. The nature of dog varies according to the heredity and society. The temperaments of the parents will effect in the puppy. 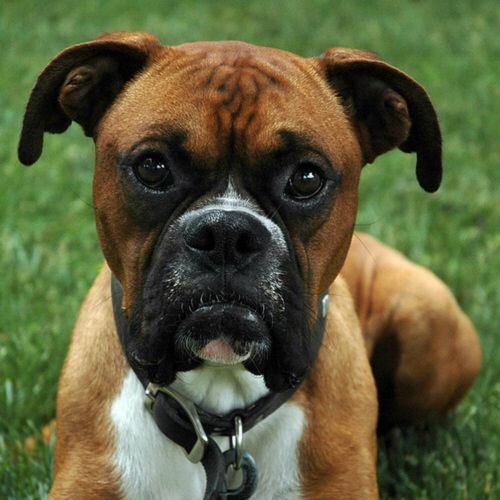 Boxer is a friendly companion and loves to be with its family all the time and play with them. Boxers are good for apartment living provided they are taken for a walk and exercised daily. It will be good if anyone stays with him always since he doesn't like being alone. He should be taken out only in a moderate weather as both hot and cold weather cannot be tolerated by him. He will suffer a lot in hot weather when compared with cold. Training is necessary for them to refreshed physically and mentally. Boxer is a quick learner and rewarding them will make them more interested in doing it. Training should be started from basic commands like sit, stay and come. Boxer should be trained to not jump on visitors who come. They are very energetic and powerful and are eager to learn if properly taught.